Around the Spiral with Edward Lifegem: Wizard101 Test Realm: Online! 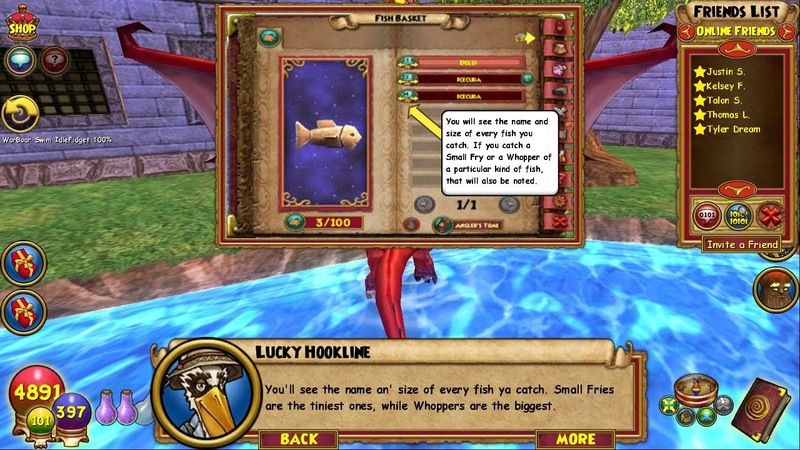 I wanted to make a short blog post to let you know that the Wizard101 Test Realm is currently online with Magical Fishing! Players who are level 7 or higher can talk to Lucky Hookline in Wizard City, Commons to learn more about Magical Fishing. Fishing is currently available in Wizard City, Krokotopia, Grizzleheim and Mooshu! If you want to read more about Magical Fishing and many more updates, just click the image attached below!